Thinking about a seaside holiday in Whyalla? Why not? Whyalla is South Australia’s second-largest city after Adelaide – a unique place where the ‘outback meets the sea’ in the spectacular Eyre Peninsula. 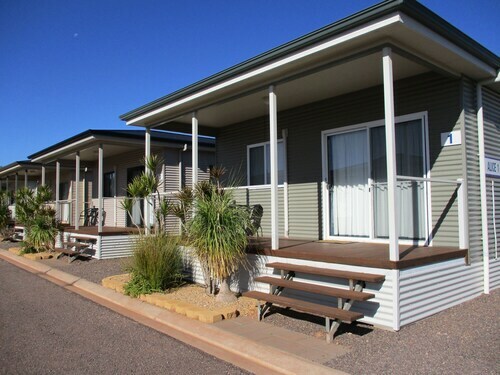 Check out our range of Whyalla accommodation and get packing those thongs and steel-capped boots! Discovered by Matthew Flinders in 1802, it was 60 years before the first land plots were leased in the area that became Whyalla. Following the discovery of iron ore at Iron Knob in the 1870s, the town finally began to thrive. Around the turn of the century, a tramway was built to transport iron ore, as well as a jetty, general store and community hall. Officially declared Whyalla in 1914, the name is believed to come from a native Aboriginal word meaning ‘deep water place’. Fronting onto a beautiful foreshore, Whyalla today is a must-do destination that offers an interesting mix of local attractions from the sea to the steelworks. Well-known for its superior snapper fishing, anglers descend on the town every Easter for the Australian Snapper Championships, lines poised to snag the heaviest snapper at sea. You’re also likely to catch squid, salmon and yellowtail kingfish in this fisherman’s paradise. If you’re more fascinated by the idea of simply watching the marine life, there’s no better place to witness the annual migration of the Australian Giant Cuttlefish. Between May and August, these eight-armed, three-hearted, green-blooded creatures lurk out of deep waters and migrate to the coastline between False Bay and Fitzgerald, just outside of town. Diving offers the chance to get up close to this spectacular natural phenomenon, while swimming and surfing offer fun on the water with a different kind of view. Back on land, travellers can get to know the lifeblood of Whyalla throughout time with a tour of the former Iron Knob Mine, and a tour of OneSteel Whyalla Steelworks – the only manufacturer of rails in Australia. Then take off your hardhat so you comfortably explore the Whyalla Maritime Museum, Mount Laura Homestead, and Darling Terrace Gallery. You might also be interested in the Tanderra Craft Village, which is housed in original BHP single men’s quarters built in 1942 for shipyard and steelworks workers. If it’s regular retail you’re after, Westland Shopping Centre is the largest undercover shopping centre in regional South Australia and by 2015 it will be even bigger, with a major expansion in the works. To get to Whyalla, it’s an easy four hour drive north-west from Adelaide, or just one hour south of Port Augusta along the Lincoln Highway, which continues on to Port Lincoln. If you’d love to see the Spencer Golf from the opposite side of the inlet, take a diversion to Port Wakefield, Port Broughton or Port Pirie along the way. Once you get to Whyalla, don’t stop driving. There are beautiful natural sights just within reach of town. Check out Point Lowly, Flinders and Freycinet Lookouts, and Hummock Hill – all boasting beautiful views and some with aerial lookouts across the town. Need insider tips on must-see attractions in Whyalla? Check out our Whyalla travel guide! 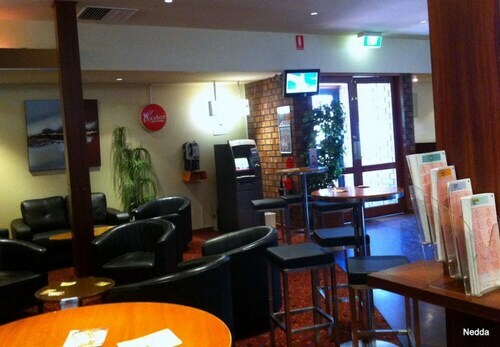 How Much is a Hotel Room in Whyalla? 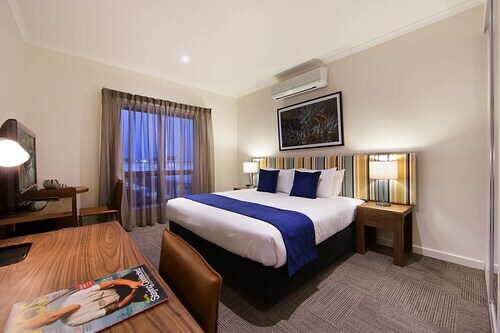 Hotels in Whyalla start at AU$77 per night. Prices and availability subject to change. Additional terms may apply. Clean, spacious,private and very quiet.Had a very relaxing time. Loved the open space and how quiet the rooms were.